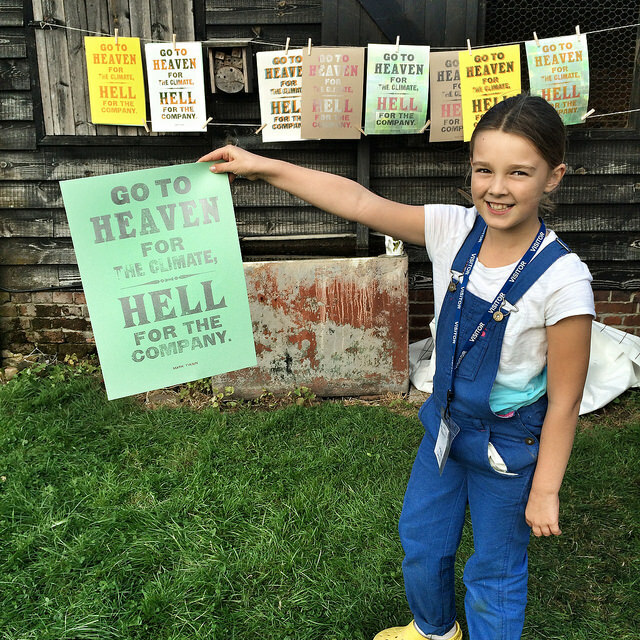 Typoretum is a family run design and printing business in the village of Coggeshall in Essex which produces beautiful, artisan stationery on antique and vintage presses. 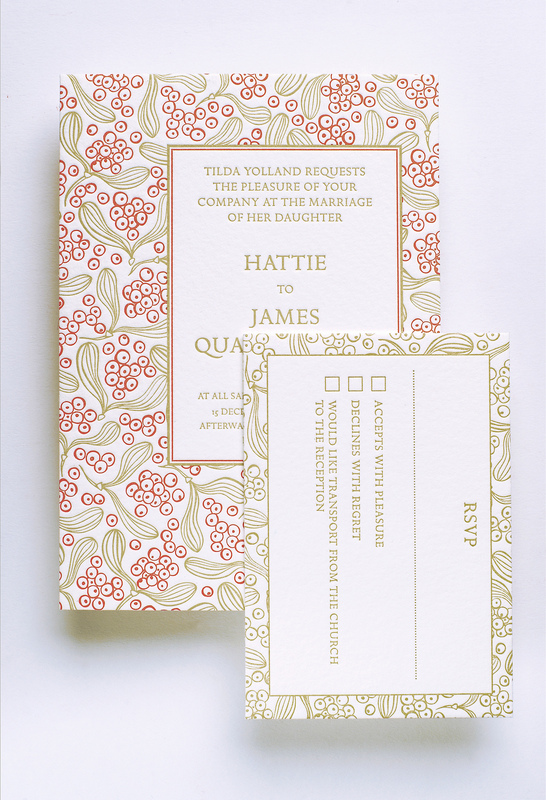 The stationery – from wedding and party invites, to birth announcements, posters and sleek business cards – is unique and handcrafted. Colourful and tactile, it instantly stands out from the digital-printed products on the high street. 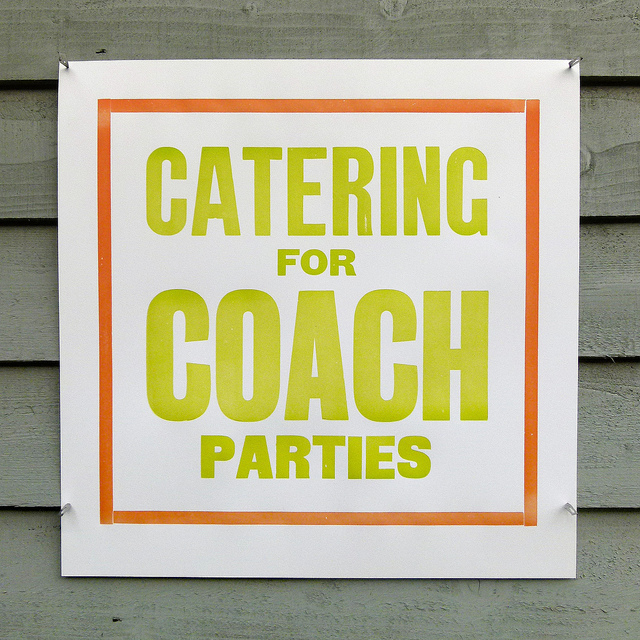 In fact, Cecilia and Justin Knopp, the couple behind Typoretum, run their business more like a cottage industry from a shed in their garden. 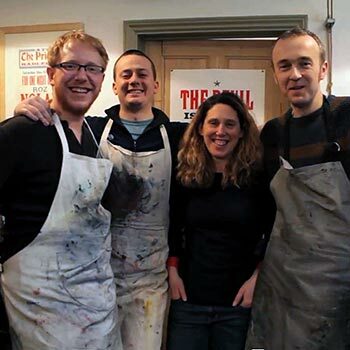 I had the privilege of spending the morning with them to find out more about the ancient letterpress process and how it can be used in the 21st century to create exquisite stationery. 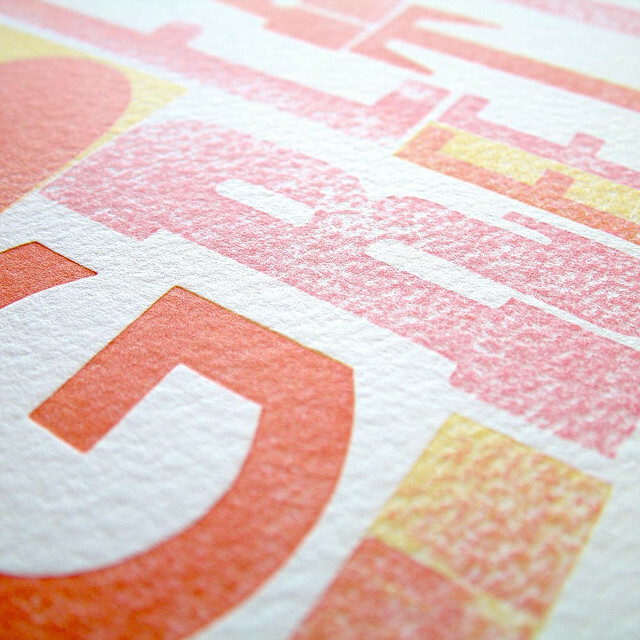 So, what is letterpress? 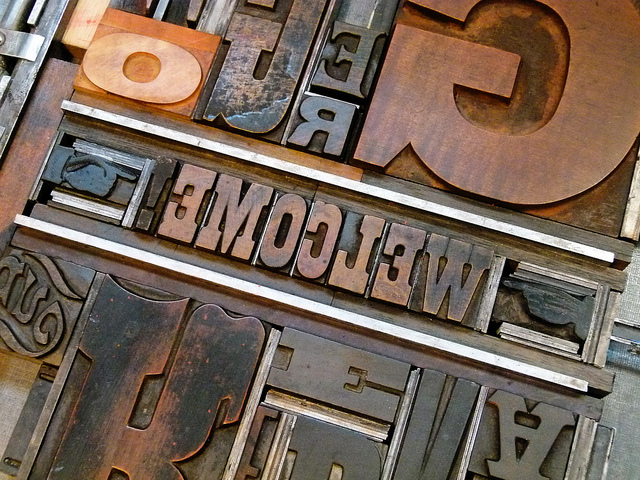 Thought to have been invented by Johannes Gutenberg of Mainz, Germany, in the mid-15th century, letterpress is the ancient craft of relief printing from moveable metal or wooden type. 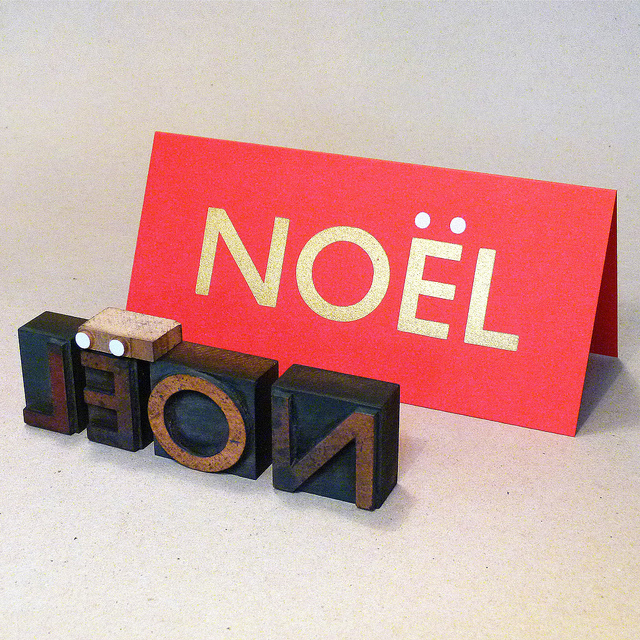 Justin demonstrated the process to me using wooden type on a small vintage press. 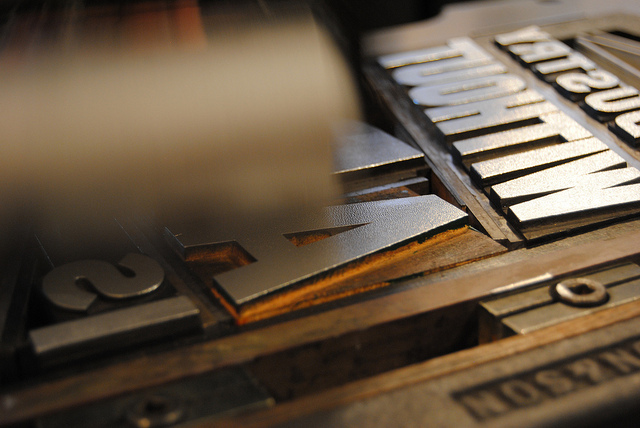 From carefully hand-setting the type and rolling a layer of ink over the top, to arranging the paper and applying the pressure of the metal ‘platon’ plate – which creates the ‘bite’ and the impression – the craft is a million miles away from today’s fast-print world. 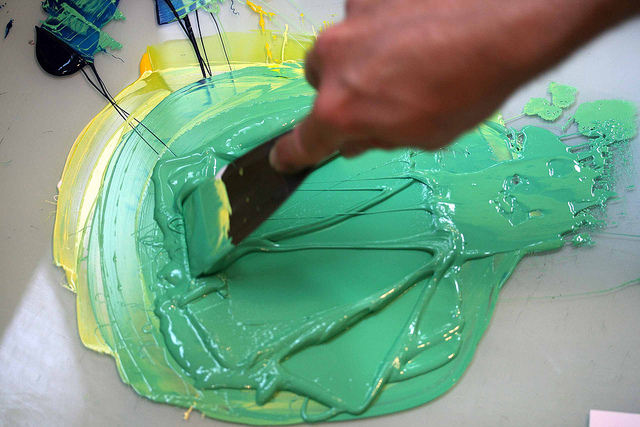 The process is rewardingly tactile and the satisfaction comes from producing something beautiful and unique. 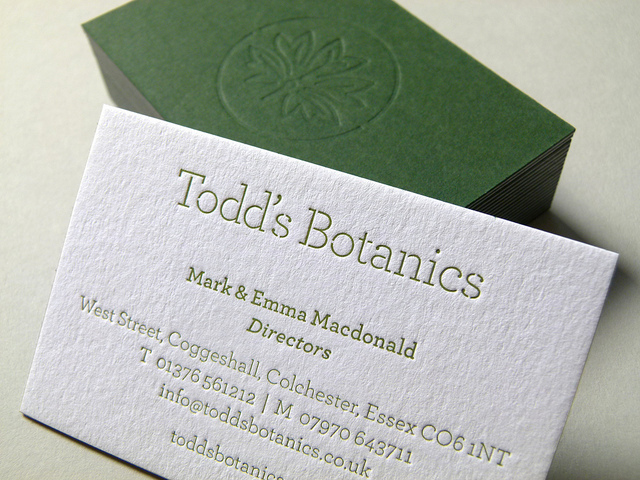 Whether you want to create a ‘debossed’ effect (where the type creates a sunken impression in the paper), or an ‘embossed’ texture (when the type has a raised surface) – it’s this custom style that has become increasingly popular with businesses craving an artisan rather than corporate look. And it’s not just small companies snapping up their product. Just recently, Typoretum produced over 1,000 wood-type posters for The White Company, plus Justin created the letterpress opening credits for the Oscar-winning 12 Years A Slave – proving that traditional and modern media can work together in harmony. Justin draws the line at jobs where the artisan finish might be compromised. 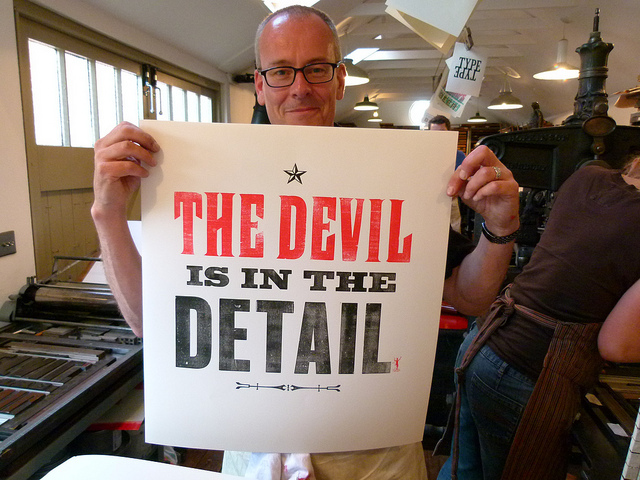 He’s all about staying true to the process and his passion for traditional printing. This passion goes back 20 years since his days as a Central Saint Martins graphic design undergraduate. 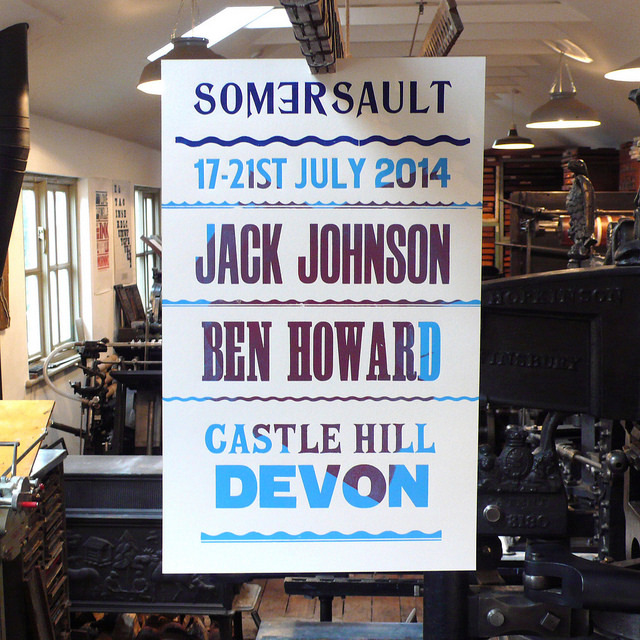 The course included a two-day introduction to letterpress printing and he became ‘instantly fascinated by the ancient skills and ingenious machines’. After graduating he started to collect lead and wooden type, plus antique printing presses which he restored to working order. 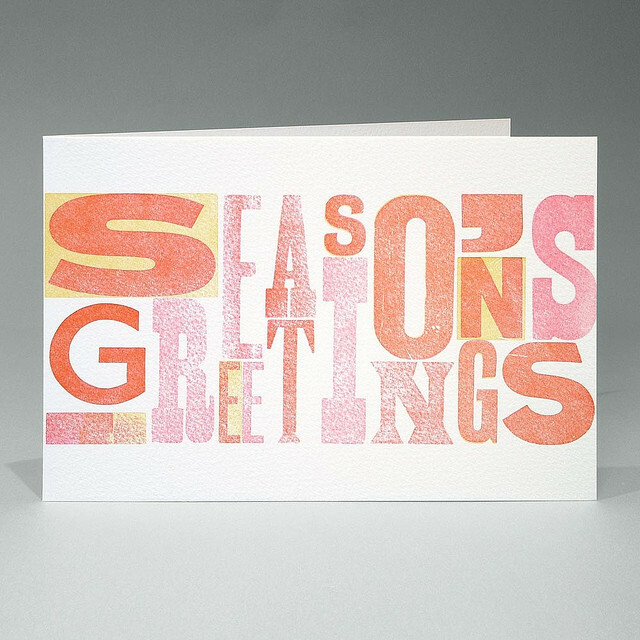 Justin says that when he first became interested in letterpress his fellow enthusiasts were a generation older than him. Now, such is the popularity for analogue and traditional crafts among those born in the 90s, his peer group has a younger face – there’s even a festival, aptly named Presstival, where printers, bookbinders and paper makers celebrate annually. 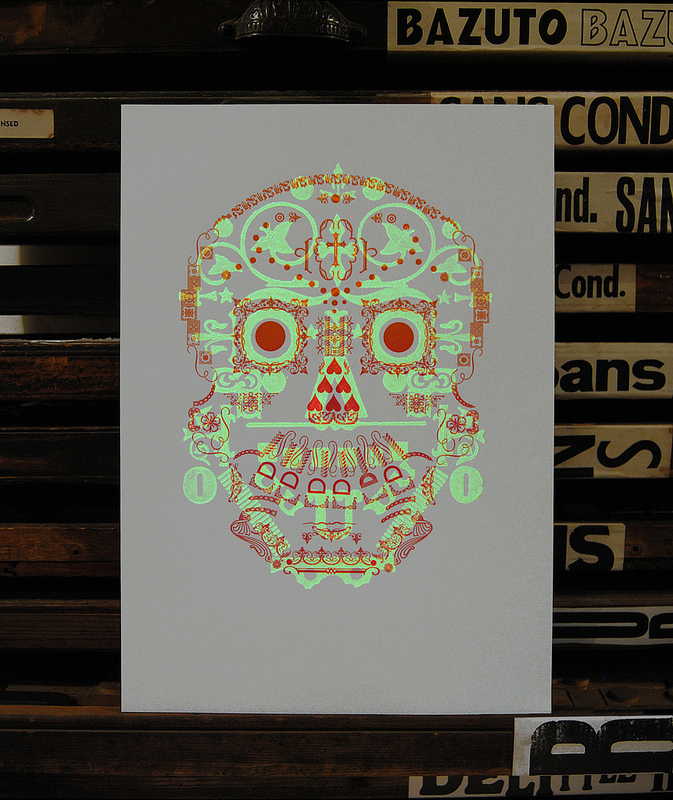 It looks like traditional letterpress printing has a strong future ahead of it. To keep the craft alive, Justin offers short courses and internships – ensuring that kids born into the digital era have the opportunity to embrace the ancient craft alongside technology. 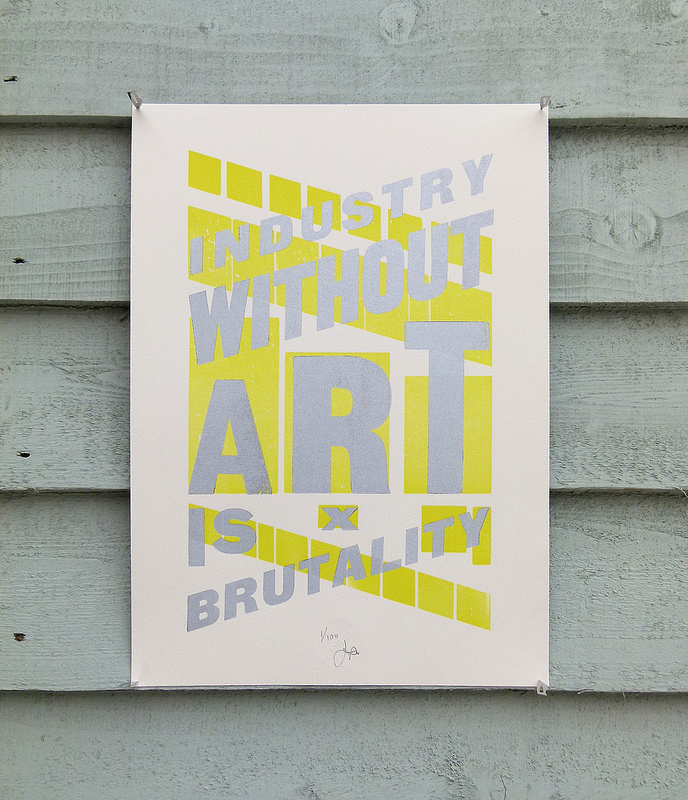 Industry Without Art Is Brutality reads one of the Typoretum posters – it’s a pretty good mantra for the digital generation.